Thanks for responding Exorcist, I'm aware of the money angle for Libya and Iraq but the poster is saying had they had nukes nothing would have happened. Nobody has invaded North Korea yet and they don't have a rothschild 7sury system do they. As for Khan, jem8ma was supposed to have converted but yeah, I know, 8 know. Doubtful. What says that he is a jew? I apologise for not being able to help you determine which of the three Rabbis is your father. Could it be the one who circumcised you? Odd isn't it that NO genetic damage can be found after a 40yr study in Japan but the pics and articles are out there from families showing newborns and children with horrific DU radiation malformation in the mid east . Just looking at the wholesale destruction of many cities in Iraq , Libya or Syria over these last 15yrs one could almost be 'forgiven' ( if told ) it that was the work of nukes...... if of course we hadn't seen "conventional' high tech weapons at work . As for why certain countries propose to have them but haven't been invaded , invaded b/c they had them or otherwise had anything else in common - I say this argument can be twisted a dozen different ways to fake-out the gullible public .........To me since WW2 the west only go to war with either superior high tech weaponry or go to lose - with other objectives in mind which was the case in Korea and Vietnam.to divide not conquer. I don't see the west going to war against Russia, Iran , China or N. Korea either , the big wars maybe over but with jews in charge nothing is safe. btw Ex -at a a glance , the one vid with the faked stationary ship with the faked mushroom detonation is telling , surely the ship would have rocked / listed a little had it been real. Last Edit: 13 Mar 2019 00:23 by Lizzy. Also (((They))) are responsible for much of the conflict in recorded history. The following is an outline of (((their))) MO, albeit incomplete. 1) Infiltrate the leadership of different groups, cultures, religions, political parties, governments, nation states, stirring up conflict and wars. 2) Covertly arm and finance both sides. Future generations of participating sides end up with un-repayable National Debt. 3) After the end of a war redraw national boundaries so previously separated incompatible cultures are bought into close contact to fan the flames of more conflict. Unwanted Mass Immigration from Muslim countries to Western Nations is (((their))) latest version of this trick. 4) Rinse and repeat 1), 2) and 3). Last Edit: 14 Mar 2019 10:19 by Exorcist. If nuclear bombs are a hoax how come the countries that don't have them aren't pretending that they do? @(((Rocco)))…..Just checked....Avotaynu is back on line. Perhaps you should contact them and enquire if they keep Rabbi Circumcision Records. 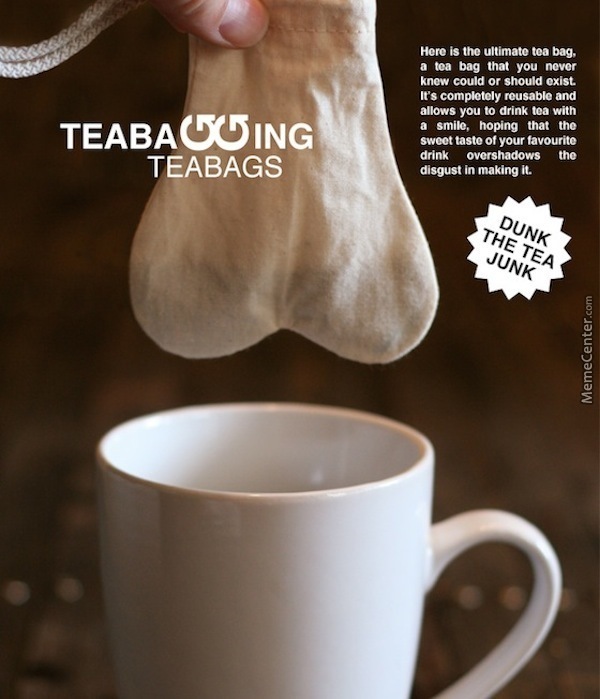 You're clumsy Rabbi father mistakenly removed your scrotum which you now use as a tea bag ????…. He should have gone to SpecSavers..!!!!.…. Last Edit: 02 Apr 2019 15:52 by Exorcist. You're clumsy Rabbi father mistakenly removed your scrotum which you now use as a tea bag ???? Last Edit: 02 Apr 2019 16:07 by Exorcist.